Entering the fictional universe of Marvel will not only boost your imagination but will help you believe in superheroes and good people once again. The amazing parallel universe is so vast and complex, that it will take you quite some time to figure out most of the characters, and their superpowers. From villains to heroes, each character is well-built with certain key-features that will determine its faith, sooner or later. Marvel has become one of the two iconic companies that managed to make a fortune out of superheroes comic books and still kept up with modern times. While the first comic book popped up in stores over seven decades ago, Marvel knows how to keep its public interested and coming back for more by introducing a wide array of characters and teams that fight to keep the Earth and other planets safe. Thus, it comes as no surprise that both children and adults are absolutely fascinated by this amazingly well-built universe with great stories and actions. So why would be wrong to bring some of that magic into our own worlds? Surround yourself with the latest Marvel creations, and make sure to purchase some cool accessories too. If you’re looking for the coolest Marvel toys in the world, we hope that our comprehensive shopping guide will help you make the right purchase decisions. Buying the best Marvel toys is not an easy job, especially with so many possibilities out there. From action figures to vinyl bobble-head toys, plush toys, and other collectibles, the universe of Marvel toys is full of possibilities. So how you do make sure you pick the best superhero toys out there? Go through our buying guide below, get inspiration from our Marvel toys reviews or choose the ones that seem most appealing to you and your playground mates. These may not come as cheap Marvel toys but they make excellent kids toys for sure. Loved by both adults and children, action figures remain some of the most popular types of toys in the entire world. 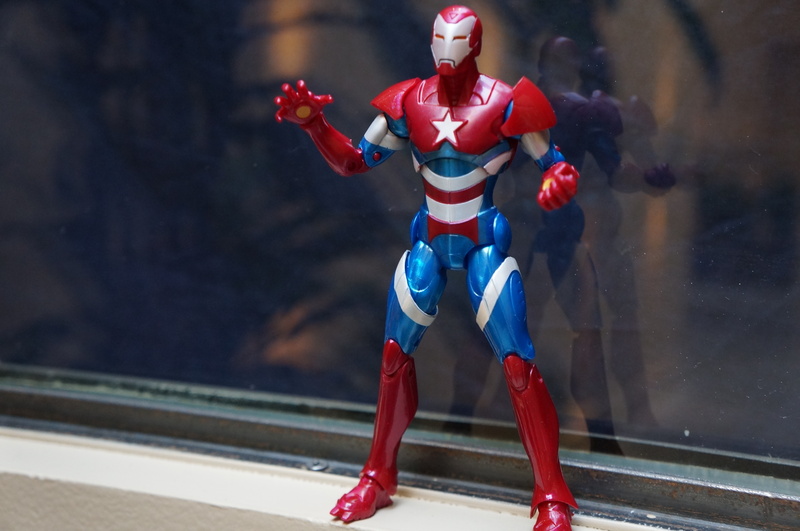 Marvel offers a wide variety of action figures from regular ones to limited-edition ones, collectibles, and series made in collaboration with other toy companies such as Toy Biz. Speaking of which, the “Marvel Legends” is one of the coolest Marvel action figures lines started by company Toy Biz way back in 2002. It offers great quality 6-inch action figures of some of the most popular and diverse characters you can find in the Marvel universe. These toys are extremely well-built and offer exceptional non-toxic plastic quality with great and realistic designs. There are over 18 different series, each coming with new and enchanting characters, including the most popular superheroes in different costumes or featuring different accessories. Thus, Captain America, Thor, Hulk, Wolverine, and Spiderman may remain worldwide favorites, but there are other cool characters you should keep a close eye on to such as She-Hulk, Dr. Doom, Human Torch, Wonder Man, Angel, Lady Death Strike, and others. 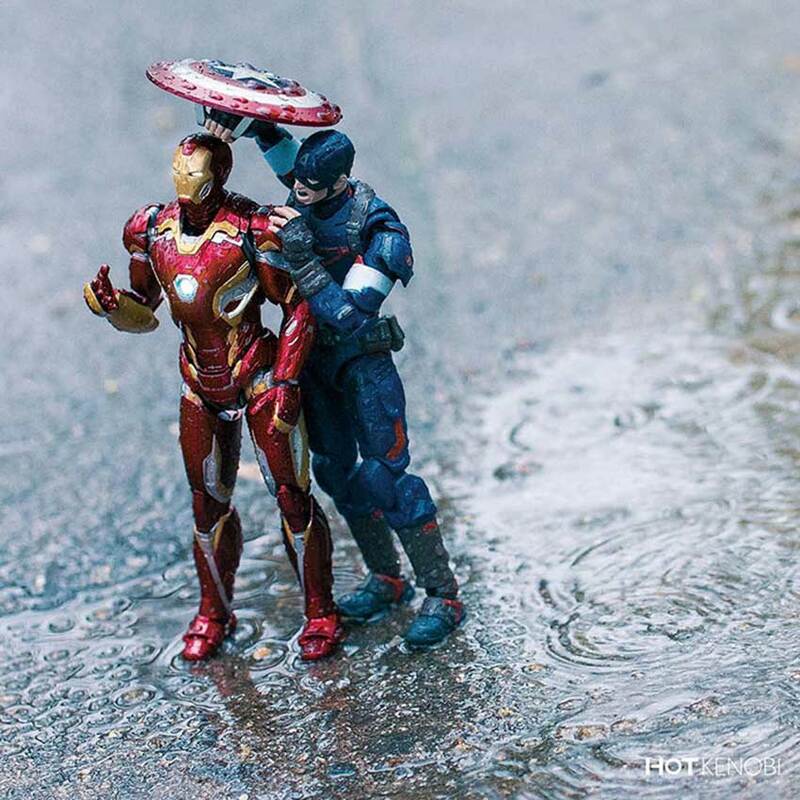 So, if you’re looking for some cool and new toys for boys, make sure to start with the right Marvel action figures. There are also plenty of options to choose from on Marvel’s official website shop, including limited-edition action figures and cool accessories for your favorite characters. LEGO is no company to hold back on releasing new cool toys, and partnering up with Marvel and other successful companies seems like a big hit every time. These good Marvel toys designed and distributed by LEGO help you rebuild the fantastic universe in which your favorite characters exist. From single figures featuring Captain America, Groot, Iron Man, Black Widow or Hulk to micro playsets or full playsets, LEGO figures have it all. You can build your own spaceship similar to the one in Guardians of the Galaxy Vol. 2 or recreate the iconic bridge battle with Spiderman. What we like the most about LEGO figures is that they can be used alone or in other endless combinations to create a wide array of playgrounds, spaceships, battlefields, buildings and places where all heroes and villains fight for survival. LEGO figures are known for developing your kid’s imagination and practical senses, which can be a great tool to learn new skills and things. If you don’t feel like buying a single item you can create your own universe with some cool playing sets. These include various figures, and an entire collection of the characters you love the most with the coolest designs, gear, and accessories. And Marvel certainly invested a lot into building something for every single kid and adult fascinated by this fantastic world. Apart from the previously mentioned LEGO toy sets, you can purchase your own Mr. Potato Head set containing four different toys including Iron Man, Black Widow, Hulk, and Captain America. Little children will certainly be fascinated by the LEGO Duplo play sets appropriate for their age, while adults and teens can opt for nesting dolls set or building sets that reach full adult sizes. If none of the above-mentioned products appeals to you, you can also opt for customizable playing cards with your favorite superheroes or bobble-head figures. There are even plenty of accessories you can try on, including the Hawkeye bow and arrow set, Thor’s famous hammer, and others. So, whether you are still a child fascinated by this fantastic world of superheroes or a full grown-up looking for a little trace of magic, Marvel is a wonderful world with endless stories and characters that will fight to take over the world or save it from destruction. The brand offers a wide collection of toys, kitchen appliances, home decorations, clothes, accessories, and cool costumes, all trying to bring you closer to your favorite characters, and help you surrender to this magical world. All you need to do is surrender and prepare for a full ride filled with joy, laughter, emotions, and excitement. What is your favorite type of Marvel toy and why?